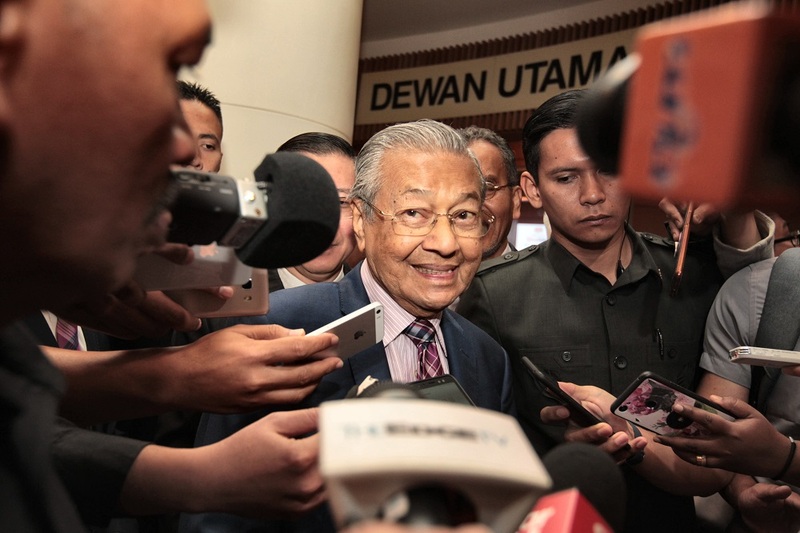 KUALA LUMPUR (Feb 6): Prime Minister Tun Dr Mahathir Mohamad (pictured) today dismissed rumours of a Cabinet reshuffle that would reportedly take place after the Chinese New Year festival, saying there was no such thing. Datuk Seri Dr Wan Azizah Wan Ismail said yesterday she had not heard anything about a Cabinet reshuffle after the Chinese New Year festival. “That you have to ask the Prime Minister because I have not heard anything about a Cabinet reshuffle,” she told reporters after attending the Chinese New Year ‘open house’ organised by the Kuala Lumpur and Selangor Chinese Assembly Hall (KLSCAH) yesterday.